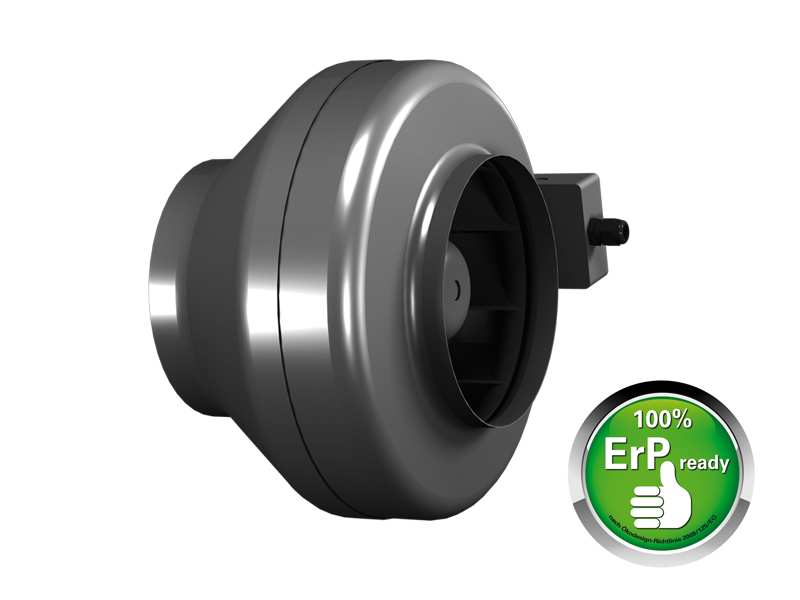 The Rosenberg R type duct fans combine the advantages of axial fans (axial direction of air flow) and radial fans (stable compression, low noise level, high efficiency). They are perfect for both supply and exhaust systems. They are adapted for mounting in circular ducts. Intended for continuous operation. They can be mounted in any position. The housing is made of galvanized sheet steel. For easy installation in ducts has standardized connection stubs. High efficiency impeller wheels with backward curved blades up to size 250 are made of plastic, in sizes 250L-315M in galvanized steel, and in model 355 in aluminum. They are mounted directly on the engine casing. 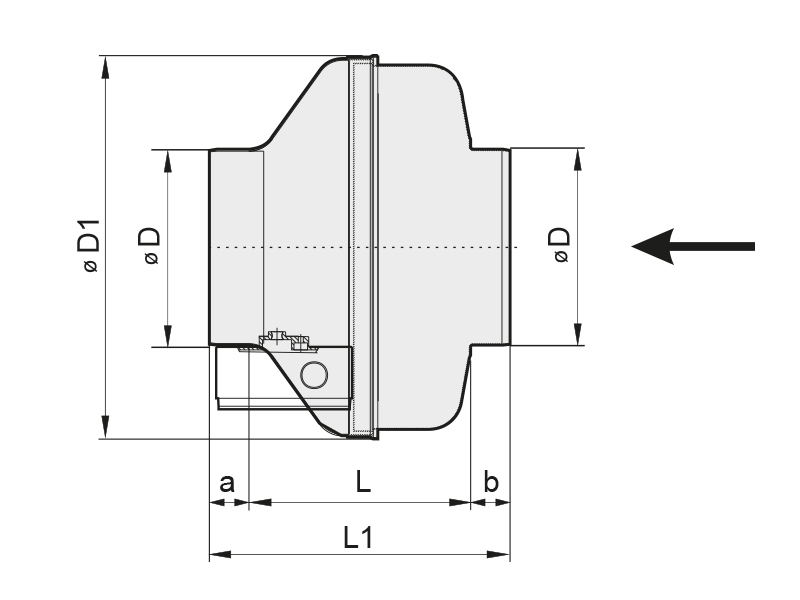 The rotor – engine assembly is balanced statically and dynamically in accordance with DIN ISO 1940 in class G 6.3. Power connection is made via a junction box located on the fan casing, made in IP54 tightness class. The fan should be connected in accordance with the diagram in the box and in accordance with the applicable safety regulations. The fan drive consists of motors with a rotating casing of voltage-regulated speed. Up to size 315 are made in IP44 tightness class. Size 355 is made in IP54 tightness class. Winding insulation corresponds to class F and additionally is impregnated against moisture. The bearings used are tightly closed on both sides and do not require handling. The motors are protected against overheating by a bimetallic type thermocontact, up to size 315, embedded in series in the winding circuit (no need for connection to an external relay for thermal protection). In the size 355, the thermocontact terminals are led out to the terminal strip (they need to be properly connected to an external safety device). The lack of a proper protective device is the basis for dismissing the complaint in the event of engine combustion.